Ballet Dancers - Gymnastic, Ballet or Pilates? I got another question, I am currently taking two ballet classes per week, if my parents agree should I take another class, pilates or gymnastics? Which one will help me improve quicker? To:- Ballet Dancers - Gymnastic, Ballet or Pilates? Thank you for your lovely message and kind words, it means a lot. I'm glad I can be here to guide you forward as you progress in ballet. I'm pleased you're interested in my eBook. I spent a lot of time putting all the advice together, so it will be worth reading. With Christmas soon approaching, you can even put it on your wishlist and perhaps have it as a present from family! If you haven't already, you can subscribe to my weekly emails on the 'Team Odette!' page. 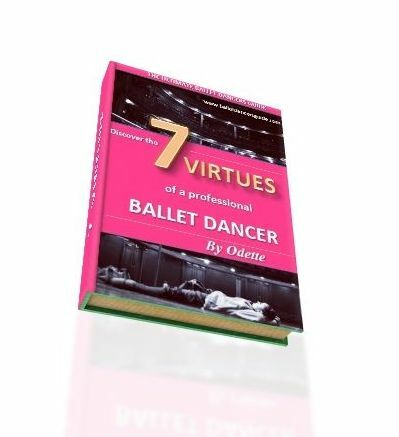 Once you enter your email, you'll get a free guide called 'Seven Secrets to Success in Ballet', as well as tips I send out each week. Also, I'll soon be holding a lucky dip competition to my readers that subscribe for a chance to win one of the virtues from my eBook, so you must sign up! Anyway, I would say either another ballet class or pilates would help you improve the most. Pilates is excellent for strengthening your core stability and it really helps you for ballet. When I studied at a vocational dance school, pilates was a big part of our schedule and we practiced the exercises a lot before ballet class. See what your parents say and think about which one you would enjoy doing the most. Perhaps you can start off with pilates and once you've grasped the exercises, you can remember them and practice more by yourself which may enable you to take more ballet classes instead. Comments for Ballet Dancers - Gymnastic, Ballet or Pilates?